We have passenger rails and centerstands for the new Tern GSD! See details on our page here. First update to the website in a long time, and we're still busy with all kinds of the projects: custom metal fabrication, bicycle frame repair, electronics assembly, and more! Fabrication and bicycle work gets a little slow in the winter, but we're keeping busy with espresso machine wiring for Slayer Espresso. 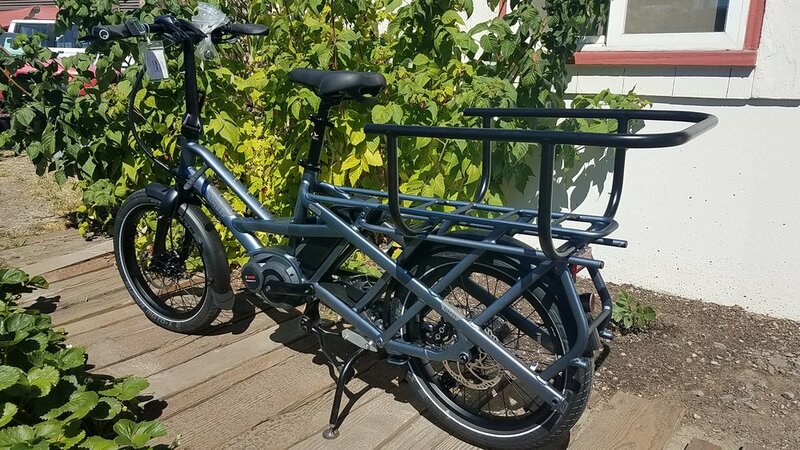 We have porteur racks in black, silver, and green for sale on this site now. More products coming soon!